The following information is intended for cruise ship passengers who are visiting our island as their port of call. 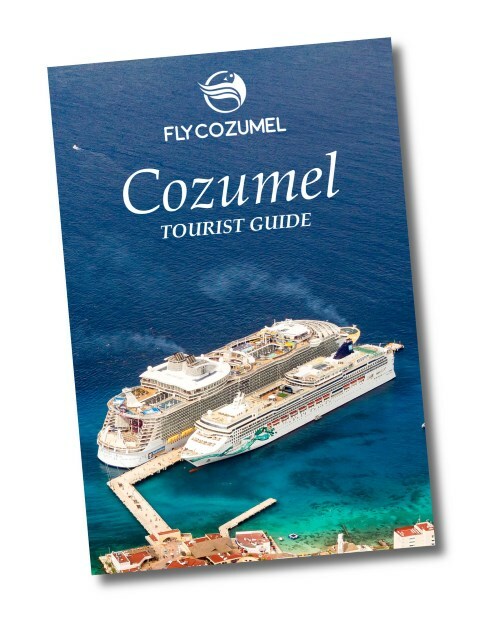 With travel tips and the best Cozumel shore excursions, this guide will help you get oriented while visiting Cozumel. And if you need any help or have any questions, our Fly Cozumel crew is just a chat, phone call or message away! Our Cozumel port guide provides a general overview of what to expect when visiting Cozumel for a day as a cruise ship passenger. Fly To Chichen Itza from Cozumel! Weather is an important factor when planning a vacation. Luckily, Cozumel boasts over 300 days of sunshine a year. We do, however, have rainy season and months that are hotter and more humid than others. Our in-depth article on Cozumel weather for more detailed tips about what to expect throughout the year, including average month-by-month temperatures and precipitation. You probably won’t need to call any of these numbers, except Fly Cozumel, of course. However, it never hurts to have them handy just in case there is anything you need.